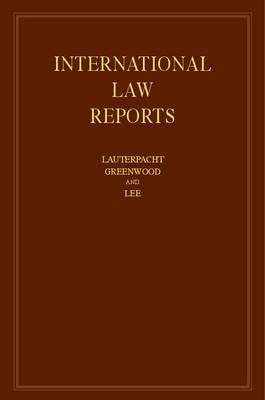 International Law Reports is the only publication in the world wholly devoted to the regular and systematic reporting in English of decisions of international courts and arbitrators as well as judgments of national courts. Volume 162 reports on, amongst others, the 2015 award in the Chagos Islands Arbitration (Mauritius v. United Kingdom) together with the judgments of the European Court of Human Rights in Chagos Islanders v. United Kingdom and of the English courts in Bancoult (No. 3) which also concern the Chagos islands/British Indian Ocean Territory. It also reports on the 2014 award in the Railway Land Arbitration (Malaysia/Singapore) and the United Kingdom Supreme Court decision in Pham v. Secretary of State for the Home Department.